Vice-Chair and Chair-Elect of COPE. Previously Executive Vice-President Academic and Provost and Vice-President for Strategic Development at Pacific Coast University for Workplace Health Sciences. Prior to that she was President and Vice-Chancellor of Brandon University in Manitoba. From 1994 to 2004, she was Vice-President Academic and Provost at the University of Northern British Columbia. She is the co-founder and for over 30 years was the Editor of the Journal of Business Ethics. She is currently Editor-in-Chief of the Journal of Academic Ethics as well as Editor-in-Chief of Advances is Business Ethics Research (a book series). She is the Editor of Business Ethics in Canada and the Section Editor on Business and Economic Ethics of Encyclopedia of Applied Ethics published by Elsevier in 2012. She recently co-edited Citation Classics from the Journal of Business Ethics: Celebrating the First Thirty Years of Publication with Springer. Her areas of research are applied ethics and leadership studies. Most recently, she is Editor-in-Chief of the Encyclopedia of Business and Professional Ethics, to be published by Springer Nature. 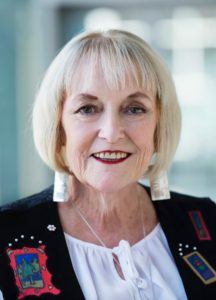 In 2016, Deborah Poff was awarded the Order of Canada for her work in universities and for increasing educational opportunities for Aboriginal people. Professor of English and Head of the Department of English at City University of Hong Kong. She is an applied linguist whose interest in plagiarism stems from the study the role of writing in academic life. 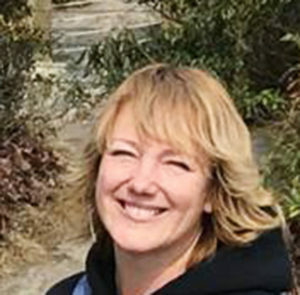 Her publications include Academic writing and plagiarism: A linguistic analysis (Bloomsbury) and Teaching to avoid plagiarism (Open University Press). 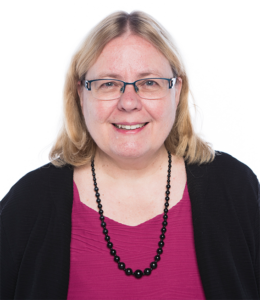 Diane teaches professional development courses for university teachers who want to work pedagogically to address plagiarism by helping students develop into capable, confident writers. Anthony E. Gortzis studied Economics and Law in the University of Athens. He completed his postgraduate studies in England, concentrating in Business Administration (MBA), Marketing and Econometrics. He also attended a crash course MBA in Harvard University. Ηe was hired in the Marketing Department of UNILEVER in London, as Marketing Specialist on detergents for Europe and North America. Later he became Marketing Director for Unilever detergents in Greece. In 1988 he was elected President of FEDIMA. Other than that, he was President of the Greek Institute of Marketing. Since 1994, he is a member of the Board of the Greek Advertisers Association, and since March 1996, he holds the presidency. In 1999, he was elected President of the World Federation of Advertisers (WFA). In 2003 he was elected as the General Secretary of the Board of Chambers of Commerce for Piraeus. In 2005 he was elected as a member of the board of Mediterranean Chambers of Commerce. Since the beginning of year 2003 he is active (consultant) in the area of Media, Marketing and Public Relation, Public Affairs, CSR, Crisis Management, and since 2005 he is the Chairman of ONE-TEAM SA, THEME LTD and REPUTATION CAPITAL, marketing and communication companies, CSR, Crisis management, PR, PA, Media consulting. 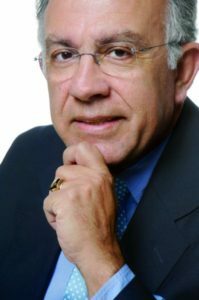 In April 2005 he was elected as Vice-President of the Hellenic Management Association and since May 2005 he is acting as the President of the EBEN.GR (Business Ethics Institute). In February 2008 he was elected as a president of the board for SOCIAL RESPONSIBILITY FOR CITIZENS. 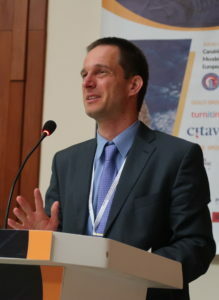 In October 2008 he was elected as a member of the Board in the European Business Ethics Network (EBEN). In September 2010 he was elected as a European President of Business Ethics Network and since 2018 he is a president of EBEN. Teddi Fishman spent most of the last decade directing the International Center for Academic Integrity. She earned her PhD from Purdue University and teaches an eclectic range of courses in subjects including ethics in popular culture, and the relationship between science, technology, and society, as well as her main discipline, rhetoric and communication. She is a proponent of participatory, problem-based pedagogies to foster learning, engagement, and academic integrity. Academic integrity coordinator at the Faculty of Business and Economics, Mendel University in Brno, Czech Republic and President of the Board of the European Network for Academic Intergity. He has been dealing with plagiarism since 2008. He was involved in projects “Impact of policies for plagiarism in higher education across Europe” and “South-East European Project on Policies for Academic Integrity” and has organized conferences and workshops about plagiarism since 2013. He is a member of the Steering group of Pan-European Platform for Ethics, Transparency and Integrity in Education established by the Council of Europe and main coordinator of the Erasmus+ Strategic Partnerships project “European Network for Academic Integrity”. Originally from the USA, is a computer scientist and professor for media and computing at the HTW engineering college in Berlin, Germany. 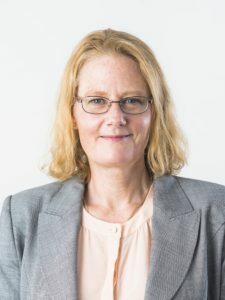 She joined the working group on computing and ethics of the German computer science society Gesellschaft für Informatik in 2002, serving as chair for the group from 2005-2011 and vice-chair since then. The group published a book of ethical case studies in computing, Gewissensbisse – Fallbeispiele zu Informatik und Ethik. Biometrie – Datenschutz – geistiges Eigentum, in 2009 and writes a regular column with an ethical case study in computing for the journal Informatik-Spektrum. The columns are documented online at http://gewissensbits.gi.de/. She has been publishing on the topic of plagiarism since 2002, and she developed an E-Learning unit in 2004 on detecting plagiarism (in German, Fremde Federn Finden, http://plagiat.htw-berlin.de/ff/) for teachers. Her book “False Feathers: An Academic Perspective on Plagiarism” was published by Springer in 2014. Since 2011 she has been active in the German academic community VroniPlag Wiki that documents plagiarism in doctoral dissertations and other academic publications. This work has encouraged a wide discussion of plagiarism in Germany. She has also served as an ethics evaluator for EU Horizon 2020 programmes and for Marie Skłodowska-Curie Fellowships.